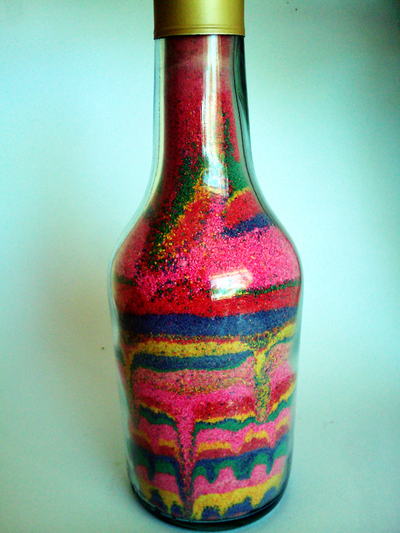 Besides recycling I have never really known what to do with empty glass bottle, until I came across this idea - A Sand Art Bottle. It's really easy to make, takes very little time and great for any age of kids. 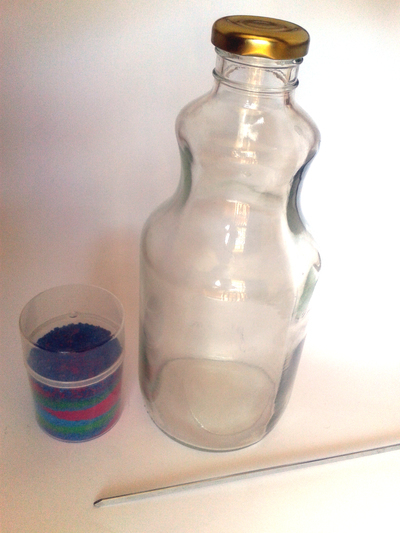 Paper funnel or any funnel to fit the mouth of the glass bottle. Then cut off the base of the cone to the desired size. Fix it with sticky tape. 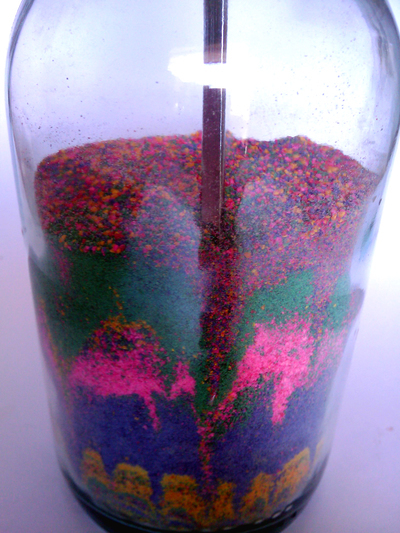 Start by filling the glass bottle with the coloured sand. To make a design, stick the skewer in and poke the edges of the sand layer. Keep repeating till you reach the top. Replace the lid to keep the sand in. Decorate your room with it. Where can you find colored sand? Hi Grenv, coloured sand can be bought online very easily or if you have trouble finding it then another option is to buy some coarse rice flour and colour it with food colouring of your choice. Dry the mixture and use it in place of sand.